If you’re blessed with a beautiful shiny Lab, we’re super excited for you! Labradors are incredibly easy to train, great with children, and my goodness are they loyal. No wonder they’ve been America’s favorite dog for almost three decades! 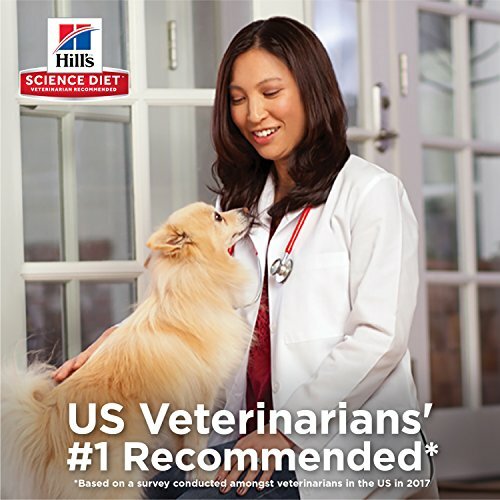 Your Lab will be lovingly by your side for something like 12 years, so he deserves only the best and highest quality food to stay in great health each day. What do chondroitin and glucosamine do? What about my Labrador puppy’s food? What is the best puppy food for Labrador puppies? How will I know if a dog food is healthy for my Labrador? What else does good Labrador dog food contain? What’s so special about puppy food for Labrador puppies? What is the best food for adult Labradors? What brand makes the best puppy food for Labradors? Is dog food for Labradors expensive? Is my Lab puppy eating too much puppy food? What’s the difference between regular dog food and dog food that’s suitable for Labradors? First, all dogs have different requirements and the best dog food for Lab puppies and adult Labs is designed for medium to large breed dogs. Labradors can grow from 12 ounces at birth (cute, right?) to something around 70 pounds at full weight. Dog food for large breeds like Labradors will be formulated with their unique nutritional requirements, and Labs in particular can be somewhat vulnerable to joint problems and canine hip dysplasia. Your Lab and especially your Labrador puppy will, therefore have specific needs for nutrients that take care of joint health, like chondroitin and glucosamine. At the same time, breed-specific dog food for Labradors will be developed to suit their distinct energy needs. Even the most laid-back Labs will need at least 45 minutes of exercise each day, so for large breed dogs their calorie requirements are quite high. A top quality dog food for adult Labradors will give them around 1000-1200 calories daily over 2 regular mealtimes. Glucosamine and chondroitin are very commonly recommended by vets for dog breeds like Labradors which are particularly susceptible to developing joint problems. They’re also so popular in supplement form for dogs, that you’ll often find them on supermarket shelves as tablets or capsules. The reason for this is that they’ve been found by studies and dog owners to help relieve the symptoms of arthritis in older Labs, and prevent its occurrence in Labradors more generally. They’re natural parts of the structure of cartilage, and in this way help maintain it in your Lab or Lab puppy, but whether you’ll actually need to add it into your Labrador’s dog food is debatable. A top quality dog food for Lab puppies or older Labradors especially will make a point to include good sources of glucosamine and chondroitin as part of a holistic formula for health. Why does the best dog food for Labradors have L-Carnitine and Taurine? Now we’re getting pretty scientific! Taurine is an amino acid, which is what proteins are made out of. It’s included in the best food for Lab puppies and adult Labs because without it, this breed is pretty prone to getting deficiencies and suffering from heart disease. Taurine can be found in dog food for Labradors and Labrador puppy food with chicken as a main ingredient, and we consider it a big plus when we’re reviewing and recommending Labrador food. L-Carnitine also helps protect against heart disease, and can play a part in preventing strain on our Labrador’s heart muscles. In the wild, our Lab’s ancestors would get L-Carnitine from red meat like beef or venison, and after this from animals such as chicken and poultry, among other things. This means the manufacturers of the best dog food for Lab puppies and adult Labs will try to supplement your dog’s food with at least some L-Carnitine so he can continue to get this healthy nutrient from his dry kibble. Our little Labrador puppies need extra-special attention from us when it comes to their puppy food. We’ve mentioned before that all puppies should be fed puppy-specific food until they’re at least 4 months old, and that same rule applies for our baby Lab puppies. One specially important thing to know about Labrador puppies is that they’re notorious for chewing a lot. This means first up that you should probably put those new shoes somewhere safe. More importantly, you need to remember that it doesn’t always mean he’s hungry. A healthy food for Lab puppies will be a balanced source of nutrition, and giving your Lab more puppy food simply cause he’s chewing on stuff can lead to obesity. Does the top dog food for Labrador puppies involve special formulas? Yes, it does! The best puppy food for Labradors will be designed especially for their breed nine times out of ten. Because Lab puppies are supposed to eat smaller meals and more frequently, the calorie count per cup will be different from the dog food you’re giving your adult Lab. 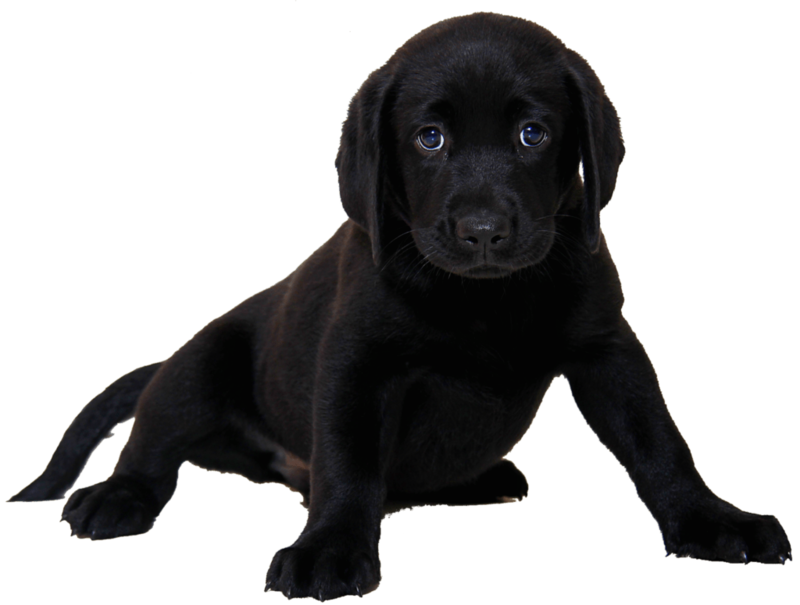 Overall, the best food for Labrador puppies should give your pup a higher amount of calories, fat, and protein than a grown-up Labrador dog food because they are growing so super fast. Also important to know about the best puppy food for Labs is that it should be formulated for large breed dogs who are still developing. Labrador puppies, like other large breed puppies, need to have properly balanced calcium to phosphorus ratios in their Labrador puppy food. This helps prevent them from developing musculoskeletal diseases like arthritis and joint pains from too much calcium. As we’ve mentioned, your Labrador puppy is going to need you to pick him a specially made puppy food so he can grow big and strong! It’s ever so important to get the right nutrients for your Lab puppy in the right amounts during his formative years. That’s why we’ve carefully weeded out the not-so-great brands and were left with three real quality makers of the best puppy food for Labs. Despite it’s use of chicken by-product meal, Royal Canin has covered all the key things we look for in the best food for Labrador puppies. This means high but not-too-high protein levels that are balanced well with fat content, DHA for vision and cerebral function and bone development. 31% protein, even the most bouncy and active Lab puppies will be taken care of! We very much like to give our pups a little lamb as a break from chicken, even though poultry’s a great quality and healthy protein. If your Lab puppy isn’t overly active or you can’t spend longer an hour daily exercising him, this one might be a little high in fat calories. Regarding everything else we look for in the best dog food for Lab puppies, it’s tick, tick, tick! Has calcium to help your Lab puppy grow some sturdy, substantial bones! As we’ve mentioned, a good quality dog food or puppy food may cost more per bag if you’re looking at weight alone. In the long run, though, you’ll need to feed your Labrador puppy less food when it’s free from fillers such as meat by-products. That’s the case for sure with Wellness food for Lab puppies, so we are giving this five shiny stars. Are you wondering how to pick the best food for your Lab or Labrador puppy? Our shiny, floppy-eared friends are protein-loving creatures, cheerful and often pretty dynamic. We always advise Lab owners looking for the best dog food to start with the ingredient label and nutrition profile. What you’ll want from this is an idea of how much protein your Labrador or Lab puppy is getting, and from what ingredients. For both active and less active Labradors, it’s incredibly essential to ensure their main source of protein is real meat. Whether it’s pasture-raised lamb or boneless chicken fillet, Labradors, like all dogs, deserve to eat high-quality protein content, and adult Labs will require around 18-22% in their dog food. This means try to minimise feeding your Lab anything listing ‘by-product meal’ as a central ingredient. Like grown-up Labs, Labrador puppies rely on you to make healthy protein-rich puppy food choices for them. They’re using so much energy to grow up and develop muscle that they simply aren’t going to get it all from adult dog food, even if it’s particularly designed for adult Labs. 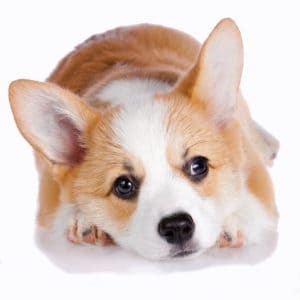 Look around for a puppy food that’s got 25-30% protein, although like not so active adult Labs, less active Lab puppies will also need less protein. Low carbs are another sign of a good dog food for Labradors, Lab puppies and all other dogs. We’ve mentioned before that canines aren’t great at digesting carbohydrates, so when you choose the best puppy food for Labs or adult dog food, read the label to ensure carb content is at the lower end of the scale towards 30%. Believe it or not, Labrador puppies are actually among the most bouncy and playful puppies you’ll ever meet. They need bucket loads of exercise, otherwise, it’s possible they’ll become bored and maybe a little mischievous. When it comes to getting them the right dog food, this means they’ll be requiring a specific puppy food for Labs (not an adult Labrador dog food) that’s higher in calories. As always with Labradors, your Lab puppy is relying on you to pick a puppy food that’s giving him this energy from both proteins and fats. Unsurprisingly then, they’re gonna require puppy food that’s got more protein and more fat in it than even the best dog food for grown-up Labs. 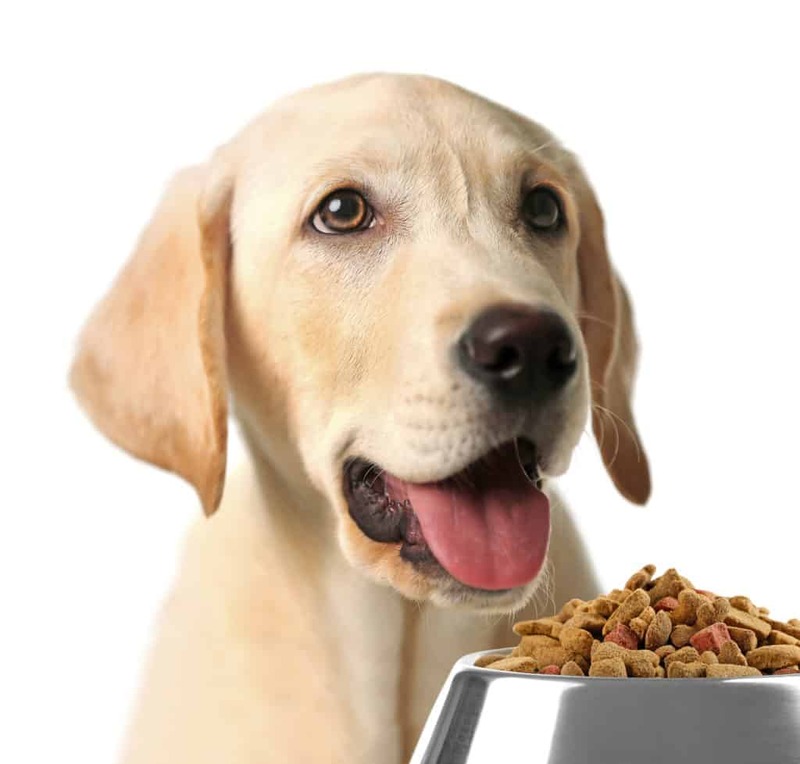 The kibble structure of this Labrador dog food is designed so they chew more instead of gulping down their food. That’s one of the unique things Royal Canin has considered when designing this great dog food for Labrador adults. 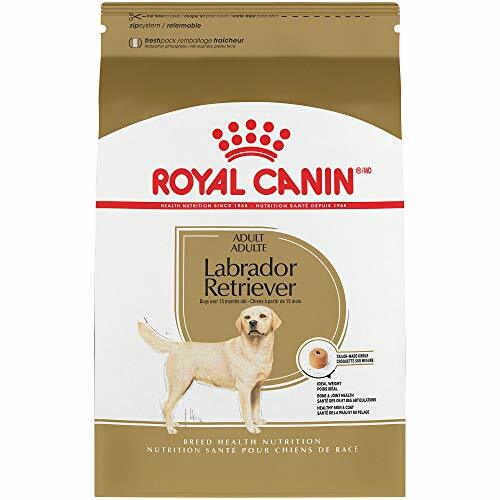 Like the Royal Canin food for Labrador puppies equivalent, its main ingredient is a by-product meal. Eukanuba have designed this dog food for adult Labs specifically and paid close attention to their dietary requirements for protein, fat and loads of the crucial nutrients like DHA, chondroitin, and Taurine. Apart from the use of some filler corn meal, it’s all round a highly recommended food for adult Labs. It’s not designed specifically for Labs, but it’s definitely got all the things we look for in a specially developed Labrador food. We’re giving it 5 stars out of 5 because we love it! For a highly recommended brand of dog food for Labradors, it’s pretty economical! Nature’s Recipe is quite hard to fault, it’s even made in the USA! Our team has put together a list of the best puppy food for Labs as well as the top food for Labs that are fully grown up. We always care deeply about who’s making our buddy’s dog or puppy food, so we’ve rounded up the leading brands from our review. 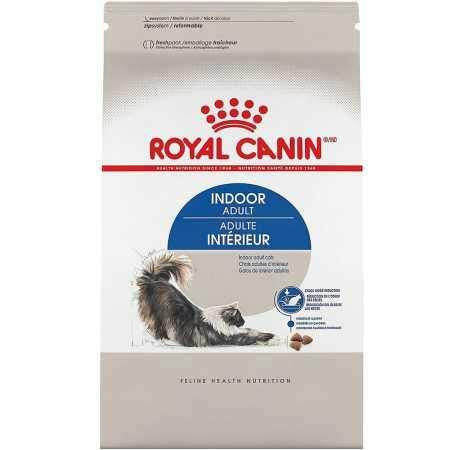 Royal Canin are American manufacturers, making dog food designed by vets since 1968. Undoubtedly they make some of the best puppy food for Labs that’s science-based. 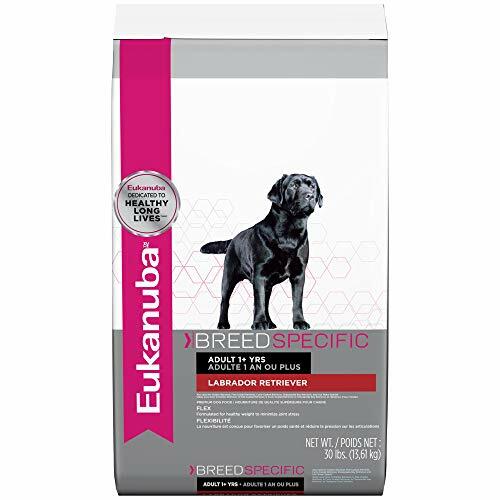 Eukanuba were founded in 1969, and specifically manufacture different unique formulas for Labs at all stages of life. 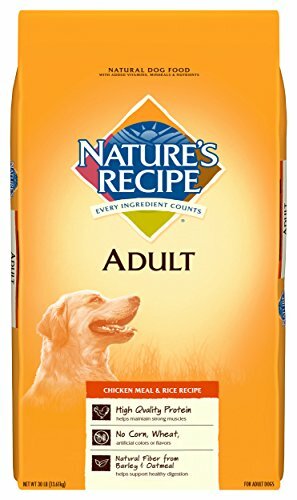 Among their 17+ dog foods, they boast a special dry dog food for adult Labs. Nature’s Recipe make one of the healthiest dog food for labs we’ve seen to date. The real gem for Lab owners is their adult dry dog food, which like all the rest of their dry dog foods is USA-made. 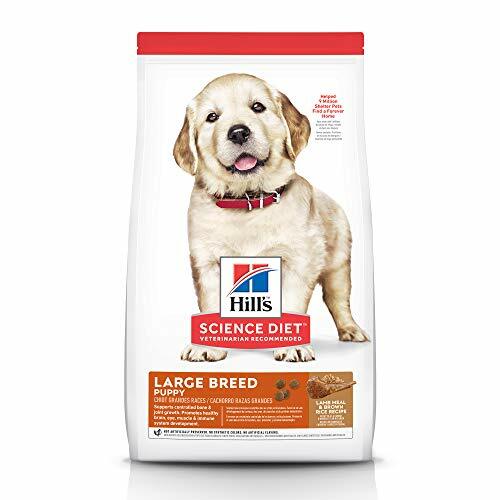 Hill’s Science is another USA-made dog and puppy food specialist that makes an awesome, truly top food for Lab puppies. Headquartered in Kansas, they make life stage food and thus an incredible Lab puppy food. 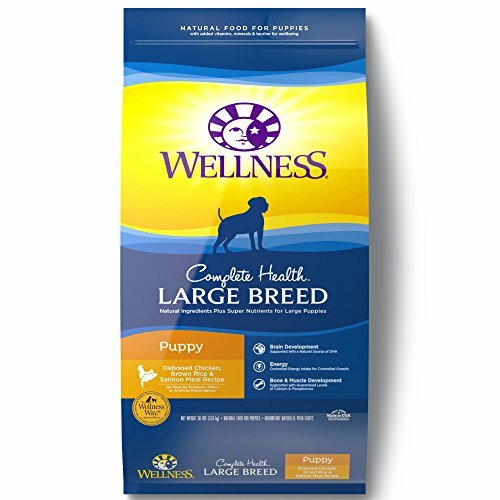 Wellness are a hit with American vets because they leave out the artificial fillers from our Labradors’ puppy food. Instead, they concentrate on filling up your Lab’s puppy food with the good stuff like nutrients and antioxidants. There are so many different types of puppy food for Labs, that knowing which is best for your Lab pup can be a little overwhelming at first!What we typically suggest is that a Lab puppy should at first be fed whatever puppy food it was eating at the pet shop or breeder. It’s best to help your Lab puppy avoid digestion problems in this way because little puppies and Labradors included, can have sensitive tummies. The sudden shock of changing his puppy food right away may give him runny stools. After a small while, you’ll find the best puppy food for your Labrador will be a matter of trial and error with the puppy foods we’ve recommended. You’ll know what the best puppy food for your Lab is when your little friend is maintaining a healthy weight and has a shiny coat, regularly consistent stools, and clear eyes. He’ll also have plenty of energy from his puppy food but not be gulping it down too fast. Please always remember to gradually change your puppy’s food! You can do this by mixing a little of the new puppy food for Labs in with his old food, giving him a little more of the new puppy food each day until he’s fully switched over. Feeding your Lab with a specially designed dog food for Labradors is no more expensive than feeding a Rottweiler special Rottweiler dog food, or feeding a dog food for Poodles to a Poodle… and so on! There are real reasons why the best dog food brands remain top sellers year after year. First, the highest quality brands are well known around the world and have reputations to look after. The brands we review as the best dog food for Labs focus more on making sure your Lab or Lab puppy has recommended concentrations of what’s good- protein, fat, vitamins and minerals. In comparison, cheaper and lesser known dog food manufacturers will often ‘bulk up’ their dog food with fillers like by-product meal and unnecessary grains. What often happens with these cheaper brands is that your Lab or Lab puppy will may need more food to get their daily requirements. More food daily means more expense, so actually cheaper dog food brands can end up costing you and your Lab a bunch more. In all these cases it might be best to consult your puppy’s vet, who will be able to help you adapt his exercise and feeding routine in a way that doesn’t cause him to lose weight too fast.